Posted 9/13/2018 11:06pm by Leslie Cooperband or Wes Jarrell. We have laid down the ultimate challenge for this year’s 100 Yard Dinner, our annual harvest meal featuring over 95% of all ingredients grown within 100 yards of the dinner table. We have decided to create a moveable feast; each course will be served in different venues around the farm. There’s a pickled vegetable course featuring beets and okra from our little vegetable garden, the cheese course will be served next to the goat pasture, the main course will take place in the midst of our prairie and dessert will complete the meal in our orchard. The 100 Yard Dinner has often been viewed as the culmination of a season’s worth of work. It is also a celebration of the diversity that our farm embodies; from pastures and prairie to goats to milk, from fruits to vegetables and from herbs to flowers. This year’s added challenge of serving five courses in different locations around the farm has forced us to be especially creative with the crafted dishes, and to think hard about how to move both food and guests. I admit that the complicated logistics had me tied in knots on several occasions, but our calm and patient chef has worked out the kinks, and most of the details are falling into place. Wes has been busy mowing clearings in the prairie and making sure the path through the orchard is clear for dining under the crowns of the fruit trees. He has been shaping the wooden planks so that we can serve food on them. We have been harvesting pears and apples and tomatoes as they ripen. We have been making pickled vegetables to beat the band. Wes dug potatoes today; we were impressed with the yield from fewer than 10 original tubers. We have been weeding the herb garden to make sure our guests can see the herbs that they will enjoy in several courses, including a special beverage. We have been walking the paths and taking careful consideration about how 50 guests will sit or stand to enjoy each course. Tomorrow the serious cooking begins. Saturday afternoon, the guests will arrive and our vision for the moveable feast will play itself out. Fifteen years ago, Wes and I took a leap of faith and bought a small farm in Champaign County. Still immersed in the world of academia as professors of soil science (at Univ. of Wisconsin Madison and then Univ. of IL), we had dreams of turning our ideas about sustainable farming into practice. Wes also wanted to relive the joys from his childhood of eating a dead-ripe peach. The small parcel, barely seven acres, had been farmed in cash grain agriculture for decades, and we saw this “blank slate” as the perfect canvass upon which to put our ideas into practice. In the first two years, we converted the land into perennial agriculture (cover crops, tree fruits, berries and pasture). While Wes’ farming passion lay in fruit trees, mine took shape while living in America’s dairy land: Wisconsin. I fell in love with beautiful French-style goat cheeses produced by one of America’s first farmstead goat creameries located just west of Madison, Wisconsin. The founder of Fantome Farm became my mentor, and we bought our “starter kit” of three Nubian does and a breeding buckling in the summer of 2004. 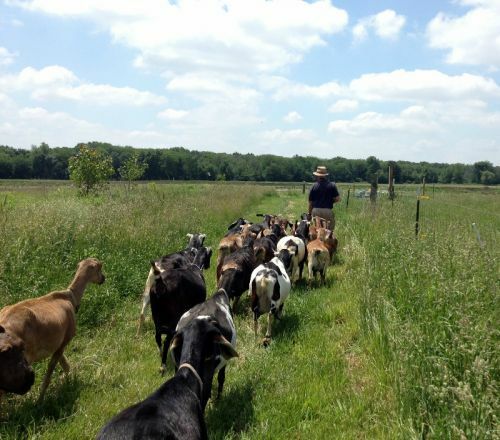 One year later, we opened Illinois’ first farmstead creamery, milking 25 goats and selling fresh chevre at the Urbana Farmers’ Market. Over the next decade and beyond, the goat herd grew and the cheese repertoire and markets expanded. 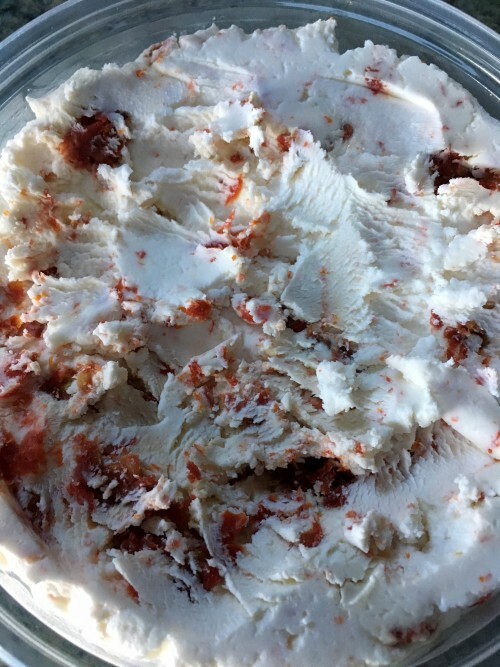 Goat milk gelato was added to the product line up in 2011. We currently produce over 14,000 pounds of cheese annually and over 3000 pints of gelato. The farm acquired additional land and the business expanded into the realm of agritourism, focusing on slow-food inspired farm-to-table meals. It was hard to take the educators out of us, and we began to welcome more and more visitors to the farm. We have always tried to be transparent about our farming practices, and we have nurtured an environment where the community can experience a working farm, appreciate how local food is produced and enjoy delicious food in a tranquil rural setting. After much soul searching and careful deliberation, we have decided to transition the farm to the next generation of passionate farming entrepreneurs. The farm is in a great place to turn over the reins to new owners. 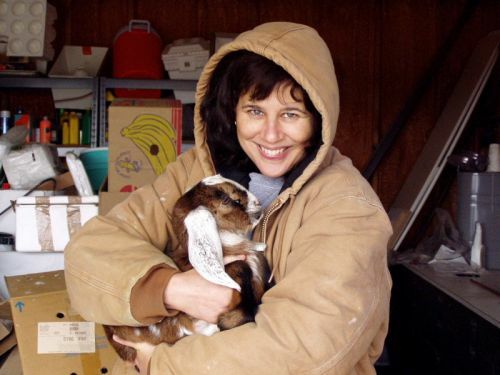 We believe there is tremendous potential for growth in both the realms of goat dairying-artisan cheese making and agritourism, and we would like to see others actualize this potential. We are engaged in serious discussions with several prospects, but we welcome serious inquiries as well. We plan to be around to ensure a smooth transition next year. In the meantime, please know that the farm is very much open for business, and we value the support that our community has given us over the years. Text Message Customer Loyalty Program: This week’s text club special relates to big-hugs black goat and blushing goat. To get the message with the special info, you’ll need to sign up: text either “GOAT” or “URBANA” or “FARMSTORE” to 30500 to sign up. The forecast is warm and sunny weather-quite a contrast from last Saturday. We have some special seasonal cheeses as well as gelato flavors for you, so come out and support your local farmers this Saturday. We hope to bring some of Seckel pears to sell at the market. They make a lovely accompaniment to most of our cheeses, just sliced or pan sautéed with butter. If you can’t make it to the market, our farm store is open Friday evening, 4-7 pm, Saturday and Sunday, 1-4 pm. Fresh chevre with dried tomatoes! It’s back and it’s delicious as ever. We grow the mini-roma tomatoes called Juliette, dry them chop them up and then blend them into our fresh chevre. This is my favorite flavor of chevre. Goat Milk Feta: Tomatoes are still plentiful and delicious. With the cooler weather, why not roast some tomatoes with crumbled feta and fresh chopped herbs? We also have a tomato-watermelon-feta recipe on our website. Watermelons are still available at the farmers’ markets. Little Bloom on the Prairie: This batch is at ripeness perfection. Flavor is buttery, milky and slightly mushroomy. Enjoy simply on a slice of crusty bread with local honey or jam. Black Goat: an ash-coated bloomy rind cheese with a delicate and crinkly yeasty rind. This batch is young and firm; the opposite of last week’s ooey-gooey version. It has a wonderful yeasty aroma and a tart lemony paste. Big Hugs Black Goat: our collaboration with Half Acre Brewery, Chicago. This black goat has “big hugs” coffee stout beer infused in the curd. It’s especially gooey this week, but the beer flavor is quite balanced in the paste. Try serving with pan toasted apple or pear slices. Blushing Goat: our take on a washed rind cheese—these little rounds are washed with a kombucha beer for one month. These blushing pink-orange beauties have a dense gooey-fudgy paste with a rich umami flavor. This cheese just keeps getting better and better with age. If you haven’t tried it, ask for a taste. Try it with caramelized onions or some prosciutto on a crostini. Moonglo: Our first spring milk batches of this raw milk tomme (sort of like a Gouda, but not really) are making their debut at the market and in the farm store. The spring milk produces a lighter, tangy paste with hints of pineapple. The texture of the cheese is a bit more firm than fall milk batches. I’ve got a Sweet-Corn-Moonglo “Queso” recipe posted on our website, so take a look. Applewood Smoked Moonglo: our friends at Urbana’s Black Dog Smoke and Ale House cold-smoked our Moonglo cheese over Applewood chips; the result is a lovely smoky version of our Moonglo. Like our regular Moonglo, it makes a killer grilled cheese (that’s what Black Dog is doing with it at their Urbana location). You could also use it in the “Hot Queso” recipe. Huckleberry Blue: our limited late fall goats’ milk blue cheese-we only have a few wedges left of this cheese, and then it’s gone until next year. This cheese is great crumbled on a salad, sliced and warmed on a steak or burger OR served on baguette with a fig jam or walnut balsamic vinegar reduction (this is an amazing combination). VERY LIMITED-come early if you want some. If haven’t figured out yet where we are at the market this year: we have a new spot at the farmers’ market--Urbana Market at the Square. We are in spot #20 on the south-west (along Illinois Street) end of the market. We are right next to Moore Family Farm. We have new hours for the fall: Fridays, 4-7 pm and Saturdays and Sundays, 1-4 pm. Come see the farm as summer fades into fall. On Fridays, come out after work to unwind. During our open hours, you can savor a scoop of gelato or “build your own” cheese boards—pick out your cheeses, add a stick of salami (Underground Meats) or a jar of jam from Autumn Berry Inspired or pickled veggies, grab some Central IL Bake-house baguette bread and we’ll provide the board. You can sit outside under our new pavilion roof and enjoy a glass of wine or beer with cheese! Want to go the total sweet route? How about a root-beer float with a scoop of our gelato? Need to de-stress? Come visit with the goats. They love to be petted, and they might try to trick you into feeding them some hay. Shop in our farm store: “The Real Stand.” We’ve got pasture-raised meats and poultry from Bane Family Meats, frozen artisan sausages from Piemonte Sausage Co., pickled veggies and pesto by Sarah (our former gelato maker), locally-grown and milled flours by The Mill at Janie’s Farm and much more. PFFC goat meat—we have one pound packages of stew meat, goat loin or rib chops (4 to a package) and leg shanks (2 to a package). We also have shoulder roasts (approx. 4-5 lb. packages). Pasture raised, very lean and mild, try the meat that most of the rest of the world enjoys regularly. Seckel Pears from our orchard—these small delicate pears are loaded with flavor. U-PICK: U-picking is suspended until further notice. We might have apples for u-pick in mid-September. We are also planning another “Cider Days” event, probably in October, so stay tuned for details. Farm Dinners: Fall season is upon us, and the September and October farm dinners have filled up fast. I encourage you to book your tickets now for the two remaining dates. The beer dinner on Saturday, October 6th will now feature beers from Triptych Brewery. We’ll likely be serving some beer-cheese collaborations, so you won’t want to miss this one if you love micro-brews. Friday, Sept. 14th Iberian Pop-Up Dinner with Chef Mark Hartstein at Hopscotch Bakery and Café: Hopscotch “Supper Club” is hosting their second pop up dinner with Chef Mark Hartstein (co-founder of Watson’s, currently cooking at Bacaro). The menu is posted on their website and features a number of local farmers’ products, including our Moonglo cheese. There are still a few seats left to this limited seating event. If you’ve never tried one of “Shades’” pop up meals, you don’t know what you’re missing (price includes wine pairings). Thursday, September 20th Cooking Demonstration at the Farm: 5:30-8:00 pm. If you’re trying to eat healthier, and learn how locally-sourced ingredients are easy to prepare, this event is for you. CU Symphony Orchestra to perform special “environmental” pieces on our farm on Sunday September 23rd, 2-4 pm. Visit Prairie Fruits Farm & Creamery for a free gelato social and concert from 2:00 to 4:00 pm on Sunday, September 23 to celebrate Mother Earth's summer harvest! This tribute to our planet will feature musicians from the Champaign-Urbana Symphony Orchestra performing several earth-themed chamber works by CUSO Composer-in-Residence Stacy Garrop. PFFC owners Wes Jarrell and Leslie Cooperband will bring us the latest news about their sustainability efforts on the farm. Take a tour of the farm, visit the goats, and participate in our "Messages to Gaia" community art project--where you can draw pictures, write poetry or simply share your thoughts about our planet. Come enjoy! 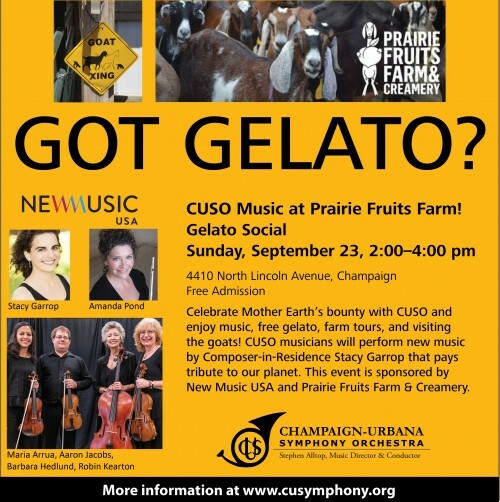 This free gelato social is sponsored by CUSO, New Music USA, and Prairie Fruit Farms & Creamery. Septembers 26th Illinois Makers Fall Festival, Pioneer Court adjacent to the Tribune Building and the Apple Store, Chicago, 2-6 pm. Leslie Cooperband will be there sampling cheese and selling cheeses too. Chicago fans, we miss you. Come see me that afternoon and pick up some cheese.